Oxford Circus. Cambridge Circus. Finsbury Circus. Piccadilly Circus. Westferry Circus. Arnold Circus. 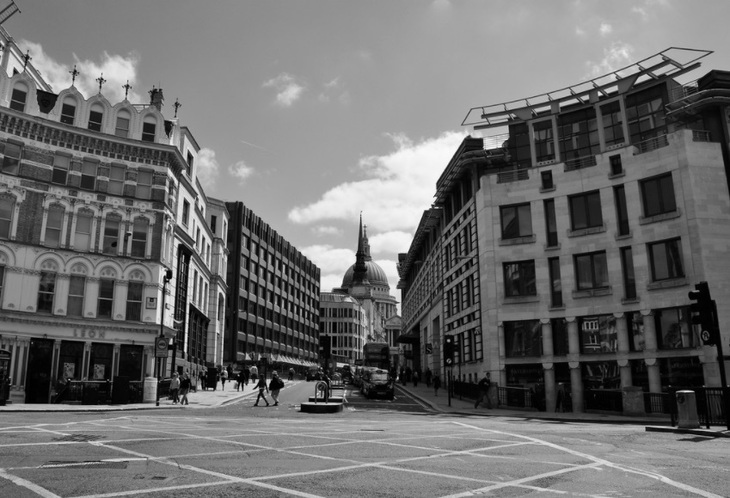 Ludgate Circus. Holborn Circus. Circuses all over London, without a single clown or tightrope in sight. So why the name? It's all to do with the etymology of the word 'circus' and its Latin root (bet you wish you paid attention in school now, don't you?). Circus comes from the Latin root 'circ', for circle. These junctions are intersections of so many roads that they become circular, hence 'circus'. As the quick-witted among you may have already realised, the clown type of circus also relates to the same Latin root. Circuses tend to be circular, their big top tents or performance rings giving them the name. 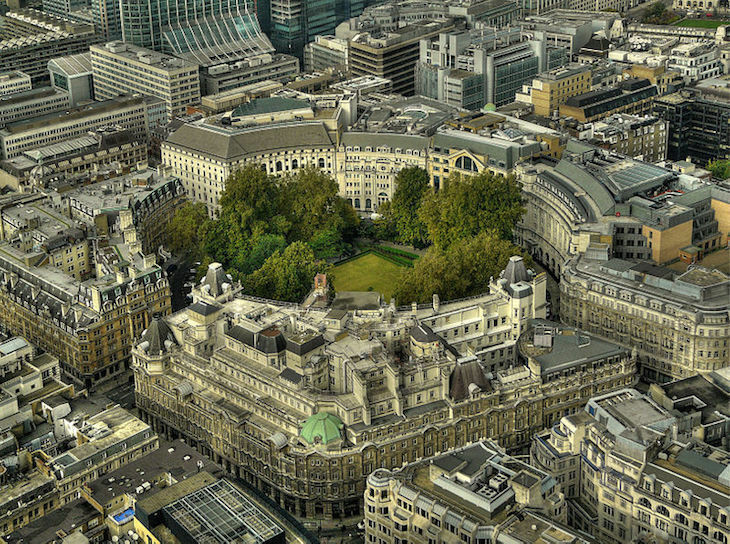 Finsbury Circus, seen from Tower 42. One particularly interesting case that has a close relation to its Latin origin is Finsbury Circus. Rather than being a road junction, its elliptical shape was based on Roman amphitheatres, such as the Circus Maximus (think Ben Hur-style racing tracks). Most of these circuses date back to the early Victorian period, a time when a lot of London's infrastructure that can still be seen today was starting to emerge. Many of the major circuses date back to the early 1800s, but Arnold Circus was built as late as 1893, showing the term had an enduring appeal to those in the road-naming business. Circuses were so popular at the time that there was nearly a massive one in St John's Wood. 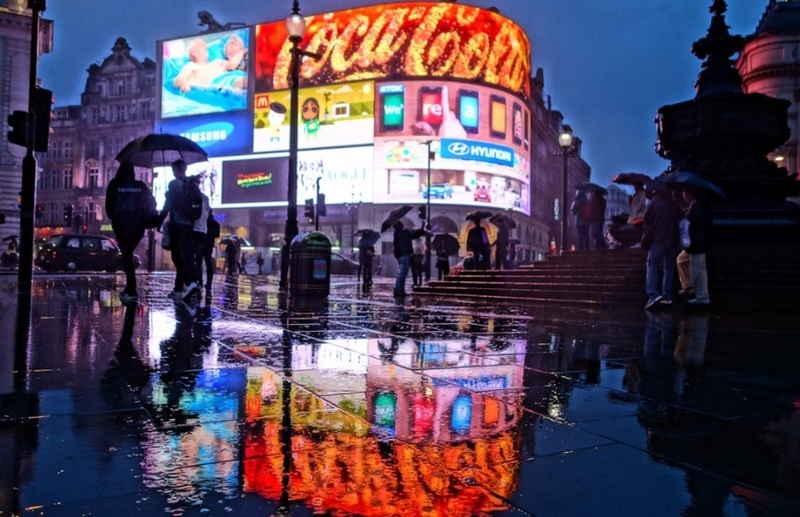 One of London's most famous circuses is Piccadilly. But that's a lie. Since the addition of Shaftesbury Avenue, it's no longer a complete circle. Some of the other circuses we've mentioned don't look at all circular nowadays. Take Oxford Circus for example — it's just a crossroad with a fancy (£5 million) crossing. So we propose some new names. How about Piccadilly Semi-circus? Or Oxford Crossroad?